The namesake flavorful bread is no longer rye’s finest achievement thanks to pFriem Rye Lager. This ruby-hued beer overflows with notes of gingerbread and black pepper, aromas of coffee and a hint of caramel. And if you don’t fully appreciate all those nuanced flavors in your first pint, you’ll probably want to rye again. Rye is a hearty and rustic cereal grain that has long been favored by the distilling industry. In recent history, brewers have been using it to add flavor, character, and malt complexity. This grain has been embraced for its signature spicy, black pepper-like flavors and complex dryness. Brewers have used it to embrace “sweeter” caramel malts, spice up lighter beers, and have counter balanced it with fruity hops. 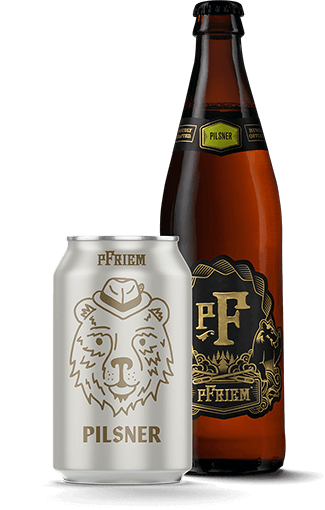 pFriem’s Rye Lager is brewed with a nod toward traditional German Lager brewing, but showcases malted rye. The German purity law Reinheitsgebot, forbade the use of grains such as rye in brewing for over 500 years. The round flavors from the lagering fermentation combined with the robust and spicy flavors of the rye create a dynamic sessionable beer. Bright white foam on top of a ruby brown body. Aromas of coffee, caramel and spice. Full flavors of ginger bread, black pepper, and pumpernickel. A sweet and slightly bitter finish. Smoked meat, bacon, pulled pork, bratwursts and boudin blanc sausage. Roasted and caramelized root vegetables. Winter sandwiches, reubens, and ham and cheese. Sweeter cheeses; gouda, grana padano, pecorino romano.